This handsome fella was out enjoying a beautiful spring day and making new friends in the square. On Winthrop Street (just outside of Harvard Square), this house was converted to a restaurant/music hall in the 1980’s, known as The House Of Blues. The second floor was the music hall, and when filled to capacity, you could feel the floor sag…. so it’s probably best that the building has been re-repurposed. In the courtyard on Mass Ave in front of Oona’s, a long-established seller of secondhand designer and vintage clothing. In Brattle Square, “LoveZarathustra” street musician plays his guitar while riding a stationary bike. 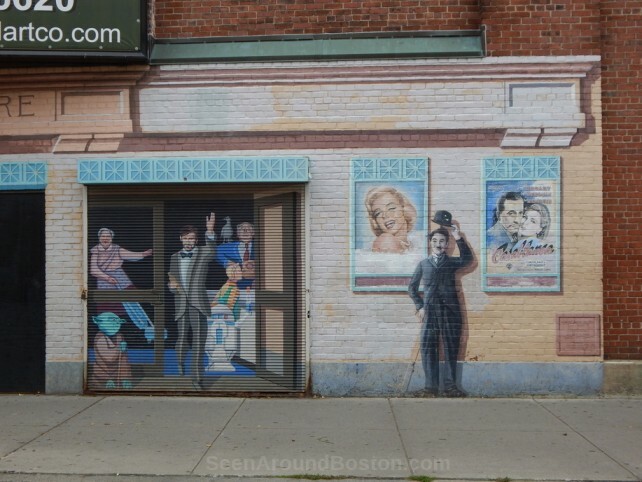 Facade of the now-defunt Harvard Square Theater on Church Street, Cambridge.